Everybody else does it, so I’ll get in on it too! Here are my top 10 games of 2017! I’ll admit, I have fallen off the Resident Evil series lately. Everything up through 4 was amazing, but the numbered titles that came after along with the bevy of spinoffs just kind of turned me off. But this game is an absolute return to form. 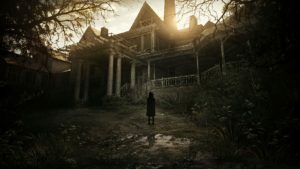 The scares are back, the atmosphere is top notch, the balance of puzzles to action is perfect, and the setting nails everything I love about Resident Evil. I played through the entire game in Playstation VR, and I have to say it really enhanced my experience, and is (to this point) maybe the best example of a full scale AAA VR title. I loved the first Splatoon, and this game is really just more of that original greatness. 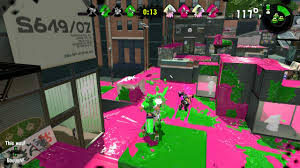 Splatoon 2 is everything the first game did well with some extra added features. New guns, new maps, a new horde mode, and a better gear progression system make for a great title. The single player campaign doesn’t hold up as well as the campaign from the first game, but the multiplayer is as fun as ever and is a game that I keep finding myself drawn back to. This game is absolute bananas. I have never before played a game with so many jaw dropping “WTF just happened?” moments. I don’t want to say much more, because if you haven’t played this game, you should, and you should experience it for yourself. The only thing I will say is do yourself a favor and play it on easy, as the difficulty doesn’t match the gameplay and the game is way too hard for its own good. 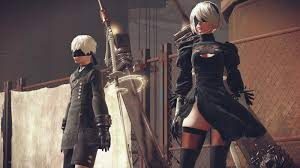 Having never played a Nier game I wasn’t sure what to expect going into this one. 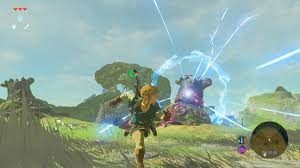 The game starts slow, and takes a while to really reveal its secrets, but once it does the experience is a magical one. The combat feels good, the story pulls you along nicely, but the multiple endings and twists and turns that the game takes (especially on the second and third playthroughs) make this really something special. I ended up playing this game for far longer than I expected, and overall the amount that I loved it is probably the biggest surprise for me this year. I liked the first Destiny, but I didn’t love it. 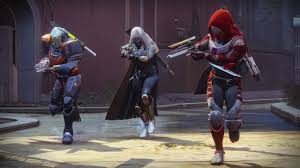 Destiny 2 suffers from many of the same problems as Destiny 1 did, and actually feels like a step back from the content and quality of life changes brought around by the time the first Destiny got to “The Taken King” expansion. 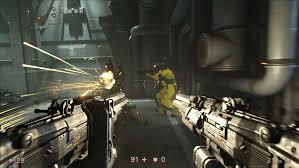 In fact, I’d even venture to say I understand why someone really wouldn’t like this game. But I loved it, and I think the reason is I fell in with a really good group. I searched reddit for a clan that seemed to align with what I was going for, and when we teamed up over the course of two weeks and nearly 25 hours to take down the raid together, it was really something special, and something I’ve experienced in very few games. Possibly my favorite game world of 2017, Horizon: Zero Dawn gives an amazing playground to just go explore. I got to kill a bunch of robot dinosaurs in a combat system that is surprisingly open and freeform, and experience a story that took twists that I didn’t see coming, but that I really enjoyed. 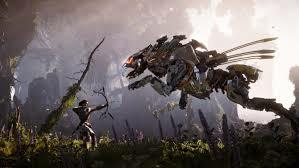 I’m a sucker for a well designed open world, and Horizon has just enough of the drip feed of collectables and sidequests to keep me amply distracted from the main story that I just wanted to keep playing and keep exploring as long as I could. This game is just fun. A pure distillation of what it means to be a game and a piece of entertainment, I think I smiled more playing Mario Odyssey this year than any other game. 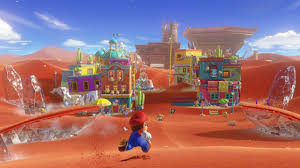 The movement of Mario and his interactions with his creature possessing hat Cappy is perfect, and the over abundance of exploration opportunities to find the game’s many moons is just such a joy. The game also has its fair share of amazing moments, including the end of New Donk City and the end of the game overall. The fact that I’m dying to go back and collect all 999 of the available moons as soon as I have time is a definite sign of this game’s brilliance. I practically never 100% complete games anymore. I like to, I have the completionist bug, but there is just too much to play. Assassin’s Creed Origins drew me in and had me seeking out every secret I could, to the point where it is one of the first 1000/1000 achievement games I’ve ever played. Bayak is a compelling lead, and second only to Ezio in the asssassin’s lore to me. 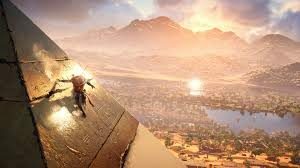 Egypt is one of the best settings I’ve experienced, and the redesigned combat and exploration serve to make Assassin’s Creed so much better. No more icon spam on the map, instead the collectibles and goals are much more focused, and the game is better for it. Go anywhere and do anything. In Zelda this felt like a reality. It truly felt like I could come up with any solution to any problem I wanted, and if it felt like it would probably work, then it probably would. I need to drag a chain to conduct electricity from one point to another? I’ll just drop some metal swords in the path, that’ll work. I can’t find a way into this temple? What if I just climb a high rock nearby and take a running glide. And this game’s world is so large and open for the player to explore that I felt like a treasure hunter finding secrets abound. Such a wonderful experience. 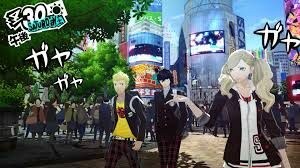 I am a total JRPG sucker, and it has been a long time since a modern turn based JRPG pulled me in like Persona 5 did. Partly this is because turn based games just aren’t made very much anymore, but moreso it’s because of the compelling world created by Persona 5 and the interesting characters that are developed throughout. I enjoyed the combat system immensely, and the game’s various dungeons, but I almost enjoyed the non-combat “life simulation” sections in between the dungeons more. I dropped nearly a hundred hours into this game without even thinking about it, and was nowhere near completion when I beat it. When ranking JRPG’s, possibly my favorite game genre, Persona 5 is going to land extremely high on that list.